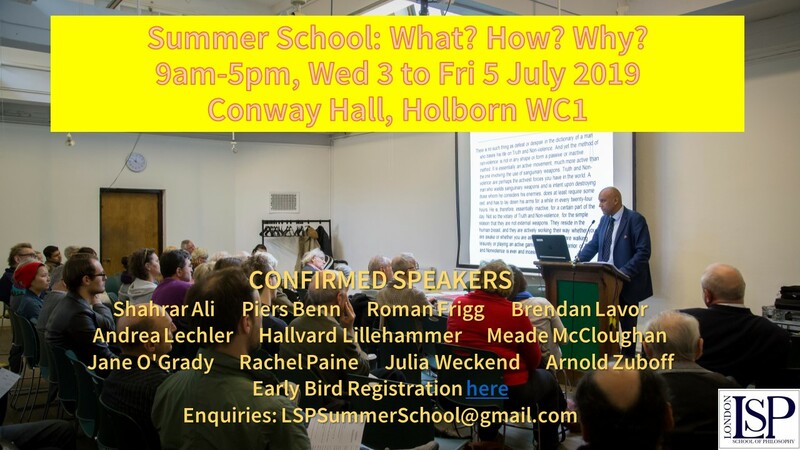 The London School of Philosophy is delighted to announce registration is now open for the next in our tremendously successful annual fixture hosted in Conway Hall in the heart of Central London. The detailed programme will be made available in June. For adults with an interest and enthusiasm for the subject. No prior study of philosophy required. Students should have good written and oral English and be willing to participate in discussion. Use the form here to begin registration. Early Bird Registration is available until 31 May 2019 – just £90 for the full course.